What Are Some Of The Remarkable Facts About The Great Pyramid? 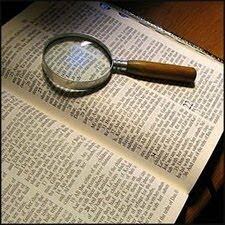 Was It Divinely Provided To Testify In Our Day In Corroboration Of The Bible? "In that day shall there be an altar to the LORD in the midst of the land of Egypt, and a pillar at the border thereof to the LORD. And it shall be for a sign and for a witness unto the LORD of hosts in the land of Egypt" (Isa. 19:19, 20). 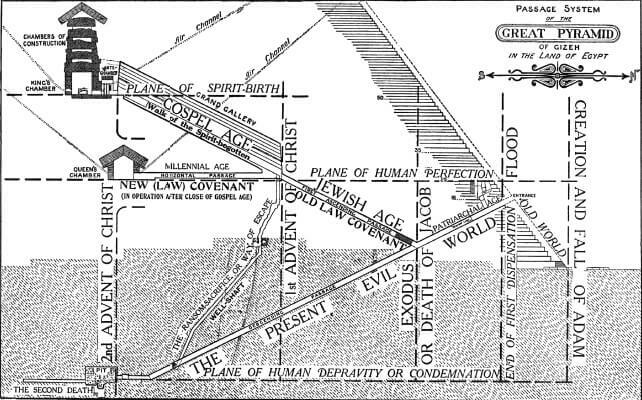 IT has for long been recognized that the Great Pyramid contains numerous scientific truths, but it is not so generally known that this ancient monument is referred to in the Bible, and few realize that the Scriptural plan of salvation is corroborated by the symbolisms of the building. However true it may be that some, probably all, of the other pyramids of Egypt were intended to serve as tombs, careful investigation has demonstrated that the Great Pyramid, at all events, was not erected for this purpose. While constructed by human agencies it is, like the Bible, of Divine origin, designed for the purpose of testifying to the truth of God's infinite wisdom, justice, love and power. The more complete our knowledge of the plan of salvation becomes, the more our appreciation of the Great Pyramid increases. Then the wonder which may have been evoked in us by the building's immense proportions, the marvelous skill displayed in its construction, its great antiquity and quality of endurance and the many scientific features which it embodies, will give place to a new wonder inspired by reverence for God, when we reflect how the great Architect, by means of a few simple passages and chambers, could portray in it the whole of His glorious "Plan of the Ages"—not merely the philosophy of that plan, but even also the time features marked off in the outworking of it. In the imagery of the Bible, the pyramidal structure is used to illustrate the exalted pre-eminence of our Lord Jesus Christ. Jesus Himself alluded to this beautiful symbolism when addressing the rulers of Israel: "Did ye never read in the Scriptures, The stone which the builders rejected, the same is become the head of the corner: this is the Lord's doing, and it is marvelous in our eyes?" (Matt. 21:42). While every edifice of importance has its cornerstone, the figurative language of Jesus can properly apply only to a pyramid; for in this type of building we find one stone which is distinctively apparent as the cornerstone, the head of the corner. The geometrical definition of a pyramid is a solid with a regular rectilinear base, and plane triangular sides meeting in a point exactly above the center of the base. This point is contained in the head cornerstone. We thus perceive how apt is the Scriptural simile which likens Jesus Christ to a "chief corner stone" (Eph. 2:20), for in Him the spiritual "pyramid" of God's plan of redemption is complete. St. Peter also spoke of our Lord under the figure of a head cornerstone (Acts 4:10-12; 1 Pet. 2:1-8). The Apostle knew that God had centered all hope of salvation in His well-beloved Son, and he reasoned therefore that all who would be saved must of necessity come under and be built up in line with that great spiritual headstone—there could be salvation under no other name, for a pyramid has only one headstone, and "this is the stone," Jesus! The Apostle further intimated that those who reject the Word of the Lord, being disobedient, will be confounded, for they will ultimately find themselves outside the pale of salvation, because they have not come in under the shelter of that heavenly topstone—they have had no faith in Jesus as the only name under heaven, given among men, whereby they must be saved. They are like the ancient workmen whom the inspired prophet David had in mind when he penned the words: "The stone which the builders refused is become the head stone of the corner" (Psa. 118:22). History informs us that Egypt was at one time invaded by an Eastern nation called Hyksos, or Shepherd Kings, who compelled the people of the land to close their idolatrous temples and enlisted them to erect the Great Pyramid. The Egyptians had therefore no personal interest in the work. In the opinion of Prof. Flinders Petrie, a recognized authority on Egyptian archeology, the stones used in all important parts of the Great Pyramid were carefully cut to size at the quarries, and specially marked to fit their allotted places before being conveyed to the site of the building. During the erecting operations, which the Greek historian Herodotus says took thirty years, the workmen would find one stone lying among the others, namely, the head cornerstone, the purpose of which must have been for some time incomprehensible; for the Great Pyramid was the first example of that style of architecture, and the workmen cannot have known of its finished design. We can imagine these men conjecturing and puzzling over this stone, and as it did not then appear what place it could occupy, rejecting it as of no use. It doubtless became, as the Apostle indicates, a "stone of stumbling" and a "rock of offence" (1 Pet. 2:7, 8). Apparently the workmen did not understand that this peculiarly shaped stone was a little model of the monument they were erecting; it contained the angles to which the outer stones were required to be cut. When the building was nearing completion, however, they beheld with wonder that the very stone they had rejected as useless was the only one which could crown their work! Thus the stone which the builders rejected or refused or disallowed, the same became the head cornerstone. This is the Lord's doing, it is marvelous in our eyes! The similarity between the refusal and final receiving of the topstone of the Great Pyramid, and the rejection and ultimate recognition of Jesus Christ by the Jewish nation, is obvious. The inspired prophets and Apostles and Jesus Himself state that the material prefigured the spiritual. Having satisfied ourselves that the pyramidal form of building is referred to in the Bible, we naturally turn to Egypt, the land of pyramids. The so-called pyramids of Mexico, Babylonia and Assyria do not conform to the geometrical definition of a pyramid, for they are usually stepped or terraced, with an altar on the summit where human sacrifices were offered to the sun god. There are 38 pyramids in Egypt, most of which are now merely ruinous mounds. Although we might be attracted to the Great Pyramid more than to the others because of its immense size and the finer workmanship which it displays, and also because of its most distinctive and unique arrangement of passages and ventilated chambers, the Scriptures aid us to identify this Pyramid as the one erected under God's supervision. He in His Word refers us directly, but in hidden language, to the Great Pyramid as His "sign" and "witness" in the land of Egypt. In Job 38:4-6 God calls to Job from the whirlwind: "Where wast thou when I laid the foundations of the earth? declare, if thou hast understanding. Who hath laid the measures thereof, if thou knowest? or who hath stretched the line upon it? Whereupon are the sockets thereof made to sink? or who laid the corner stone thereof; when the morning stars sang together, and all the sons of God shouted for joy?" (marginal reading). In v. 6 we notice reference to foundation "sockets," "made to sink." When we examine the foundations of the Great Pyramid we find that the stones at the four base corners were made to sink into corresponding sockets in the rock. (These foundation stones were removed many centuries ago, and the sockets in the rock are exposed to view.) None of the other pyramids throughout Egypt possess such socket foundations. This Scriptural reference to a construction feature so distinctive of the Great Pyramid, justifies us to expect to find in this Pyramid the details of God's plan set forth in symbol. Although the utterance in Job 38 is in reference to the earth, it is obvious that this is only to screen the true meaning, for the earth has no sockets or cornerstone. It is important to notice, however, that a number of patient investigators, prominent among whom was Prof. C. Piazzi Smyth, Astronomer Royal for Scotland, have discovered many distinct and wonderful analogies between the earth and the Great Pyramid, proving that the Author of the Bible was also the Lawgiver to the courses of nature, and that He caused the truths of both the Bible and science to be memorialized in the structure of this "Miracle in Stone." It is generally agreed to by competent authorities that the Great Pyramid was the first true pyramid to be built. This explains why none of the other pyramids possess an upper system of passages and chambers; history shows us that their builders were unaware of the existence of the ascending passages and chambers constructed high up in the masonry of their great model. For 3,000 years these were a profound secret. They were discovered by accident. If it should seem incredible that the entrance of the First Ascending Passage could have remained unknown for so long as 3,000 years, let it be remembered that another important part of the Pyramid's system remained secret for over 4,000 years, namely, the air channels of the Queen's Chamber, the existence of which was not known until 1872. The builders had channeled out air conductors for this chamber similar to those for the King's Chamber, but had abruptly terminated their inner ends five inches short of the wall surfaces. Mr. Waynman Dixon's investigations of a crack in the south wall accidentally led to their discovery. The motive of the builders in so laboriously constructing two long air channels which could not conduct air because of the incompleted inner ends, is unaccountable on any other grounds than that of symbolism. The Great Pyramid stands unique in respect to its ventilated chambers, for none of the other pyramids are provided with air channels. The following brief account of how the long-sealed upper system of passages and chambers of the Pyramid were discovered, will serve to familiarize the reader with the general arrangement of the monument's interior: It is recorded that in the year 820 A.D., a Caliph of Baghdad, Al Mamoun by name, journeyed to Egypt with a company of men, intent upon plundering the great treasure supposed to be hidden in the Pyramid. At that time the four flanks of the building were encased with beautiful smooth casing-stones (all of which, with a few exceptions, have since been stripped off by the Arabs to build mosques and houses); and the entrance of the low narrow Descending Passage appears to have been closed by a stone door, which was balanced on side pivots, and could be swung open in an upward direction. The geographer Strabo, who lived in the first century B.C., spoke of this door: "The greater [Pyramid] a little way up one side, has a stone that may be taken out, which being raised up, there is a sloping passage to the foundations." Evidence still exists at the south stone pyramid of Dashur that its entrance was originally closed by a stone swinging on side pivots. At the time of Al Mamoun's expedition, the exact location of the entrance of the Great Pyramid had become lost, and there was only an indistinct tradition to the effect that it was situated on the northern flank. We may well imagine that Al Mamoun would search carefully for the door; but as the entrance of the Descending Passage is situated nearly 60 feet vertically above the ground level, we are not surprised that he was unsuccessful. Al Mamoun seemed determined to find the treasure which he was persuaded lay somewhere within that huge bulk, for he excavated an entry into the building. He chose a point midway between the ground and the entrance for the beginning of his forced passage. After penetrating horizontally inward for about 120 feet without making any hopeful discovery, Al Mamoun's men were nearly giving up in despair, when one day they heard a noise, as if something had fallen in an interior cavity. They immediately worked with renewed energy in the direction indicated by the noise, and soon broke into the Descending Passage a little below the junction of the First Ascending Passage. There, lying on the floor of the Descending Passage, they saw an angular-shaped stone. On examining the roof they observed an opening from which, apparently, the stone had fallen, thus causing the noise. It was this stone, fitted in even with the general line of the roof of the Descending Passage, and looking much like all the other roofstones, which had for so long effectually concealed the lower opening of the First Ascending Passage. The ancient Egyptians, Grecians and Romans who had ventured down the low and very steep Descending Passage, never imagined that at a certain spot above their heads there was a stone, which with a little forcing they could have dislodged from its setting, and so have revealed the entrance to a wonderful upper system of passages and chambers. Had it not been for the jarring caused by Al Mamoun's men working their way through the masonry a short distance to the west (for the plane of the Pyramid's passages lies about 24 feet to the east of the central line of the building), and thus causing the stone to loosen and fall, it is probable that the Pyramid's great secret system would have remained sealed up many centuries longer. We believe, nevertheless, that the First Ascending Passage would have been discovered by a more scientific method than forcing, when in due time the right man, imbued with the conviction that the great stone edifice was of more than human origin, would have visited and carefully investigated every accessible part of the building. 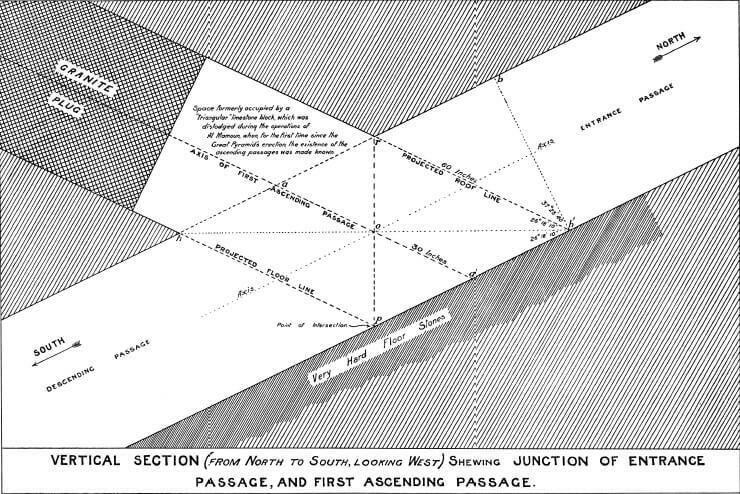 When Prof. C. Piazzi Smyth, during his extensive operations at the Great Pyramid in 1865, was measuring in the Descending Passage, he noticed that the portion of the floor immediately underneath the Ascending Passage entrance is exceedingly hard; he could hardly make a mark upon it with a steel tool. The soft nature of the remainder of the floor is evident by its worn, dilapidated condition, contrasting greatly with the smooth appearance of the hard portion, the surface of which is only slightly hollowed by the traffic of centuries. Below this hard part of the floor the passage is bored through the natural rock, which is comparatively soft. Prof. Smyth noticed, additionally, that the joints between the stones of the hard portion are diagonal, whereas the joints between all the other floorstones run square across the passage. This hard part of the Descending Passage floor with its diagonal joints is situated so conspicuously opposite the entrance of the First Ascending Passage, that Prof. Smyth rightly judged it must sooner or later have served as a "pointer" to that entrance, had the concealing roofstone not prematurely fallen out. Al Mamoun, however, found it impossible to go up this newly discovered passage; for immediately behind the dislodged roofstone is a series of three granite stones which, unlike the limestone block that once concealed them, are wedged into place and can never fall out. These stones are still in position and are now known collectively as the "Granite Plug." So tightly fitted is the Granite Plug that Al Mamoun soon saw it would be with extreme difficulty that it could be removed; but as he was determined to penetrate to the as yet unknown interior of the Pyramid in the direction indicated by the lower end of the revealed passage, he instructed his men to force their way round through the soft limestone to the upper end of the Plug. We can picture to ourselves the expectation of these men, when, on gaining access to the passage above and making their way (as well as they could) up its steep and slippery floor, they began an eager exploration of the dark mysterious passages and chambers, sealed up three thousand years before by the ancient builders, and now visited for the first time. Surely they would think great hoards of wealth must lie somewhere in this wonderful place! But their expectation was doomed to disappointment; for the Pyramid's treasures are not of the kind to appeal to Arabian adventurers—they are treasures of wisdom and knowledge.